Awhile ago, I started on a 3-month course of Imedeen Time Perfection tablets to see what effect it might have on my skin. I've invested in skincare since I was 20, so I'm really no stranger to spending $400-500 on creams to stave off the aging process. But now that I'm approaching my mid-30s, I'm starting to notice that applying topical products can only do so much, and I've been looking out for ways to supplement my basic skincare routine. 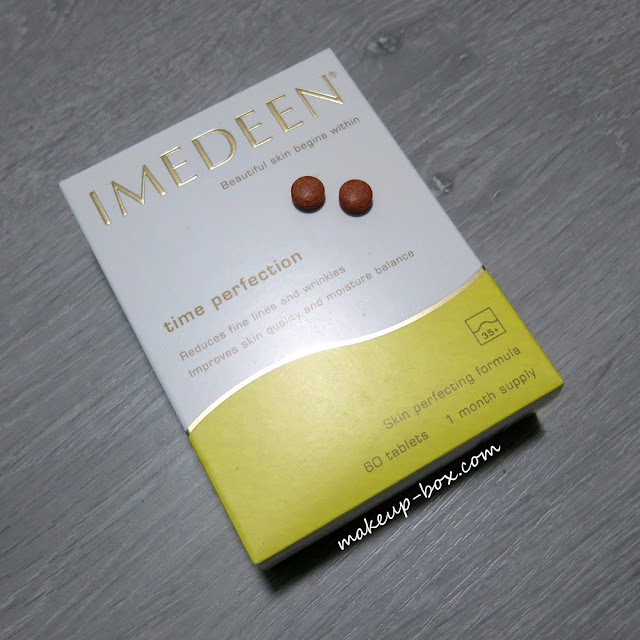 Imedeen is one of the best-known and best-selling anti-aging supplements around, and it's designed to support collagen production and moisture-retention levels in the skin, as well as help fight external aggressors like UV damage, so I suppose it was only a matter of time before I tried it for myself. Before you begin any skin treatment, remember that skin maintenance and repair is a slow process that takes place over weeks, so any treatment that works from the inside out can take around a month or two to show results, as you slough off old cells and new cells start coming to the surface. If you want to try oral supplements, remember it's like wearing sunblock and applying antioxidants. Be consistent, and be prepared to invest for the long term. It's not meant to replace a healthy lifestyle, but if you're like me and you don't always manage to consistently get enough sleep, drink enough water, and eat a very balanced diet (yes - I'm quite terrible), a daily supplement and good skincare can really help to maintain the condition of your skin. And I dislike the taste of liquid oral supplements in general, so taking 2 tablets a day before bed was easier and more ideal for me. I've also gotten questions from people asking if it is meant to treat acne, and also if it causes acne. The answer is no. 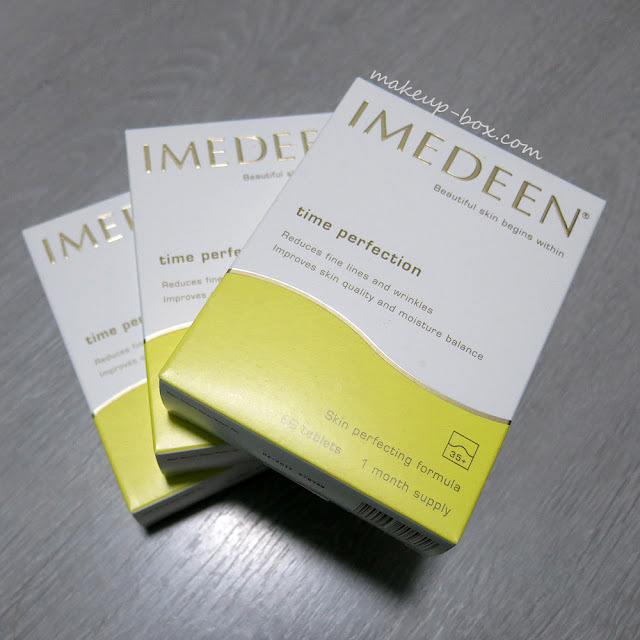 Imedeen is an anti-aging supplement which contains marine extracts and plant-based antioxidants. There is currently no scientific evidence I can find that says any of the ingredients it contains will reduce natural sebum production or cause more acne. For me, the objective of taking oral supplements should be to support your body's own processes and stimulate or accelerate regeneration and repair. I've got pretty dry skin which can get a bit sensitive when the cell barrier is compromised (which happens quite often as I test so many skincare products), so one of the things I wanted to see was whether Imedeen actually could help to maintain moisture balance. Another thing is that I'd just gone for Thermage awhile ago, which boosts collagen production for up to a year or two, so I have to say I wasn't expecting a dramatic difference in terms of collagen levels in my skin, but I did want to see a better condition overall. After about a month or so of taking the pills, what I did observe was less dryness and less instances of chronic flaking around the tip of my nose. My skin felt more moist overall, after about two months, felt like it was combination/dry instead of just dry all over. I can get away with wearing matte foundations without it being tight and uncomfortable. I went for an ultrasound skin scan in February before beginning on my course of Imedeen, and it might be hard to understand the graphs above but I'll walk you through it. Both scans were done on my left cheek, which is a typically normal-to-dry area of my face. 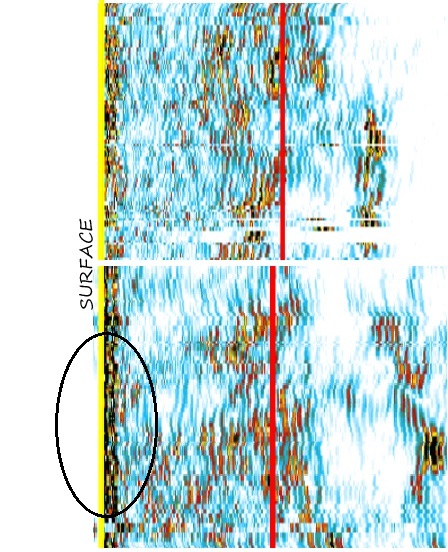 Dark, yellow and red areas represent collagen distribution and moisture levels. The more evenly distributed and dense those colored clusters are, the better. 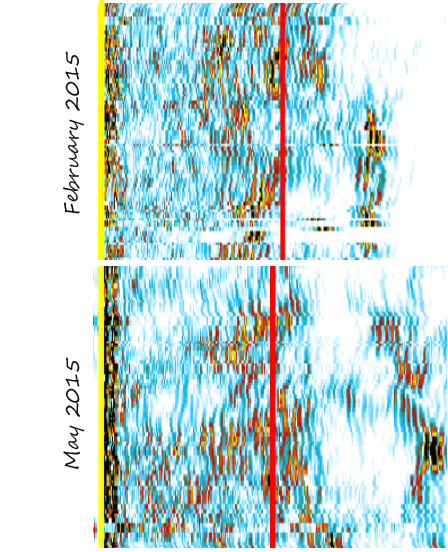 You can see above that in May, the dark clusters on the surface are significantly increased. In February, my collagen levels were already pretty good, but the surface isn't exactly in the best condition. There were several gaps in my skin barrier, so I needed heavy moisturizers to keep my skin balanced, and makeup always faded quickly because of how dry my skin was. In May, the surface density is noticeably higher. That probably explains why I felt more like I had "normal" skin, and there's more of a natural glow even without applying highlighting primers or powders. Makeup sits better and lasts better now that I'm not quite as dry, and I feel (marginally) less guilty about my late nights and lack of water. It's still hard for me to get 8 hours of sleep except when I'm ill, and I drink more tea and Diet Coke than water. I know; it's terrible. But 2 pills a day, I can manage! I do want to remind everyone that Imedeen - and any oral supplement - is a long-term investment and something of a lifestyle commitment, like wearing a proper high-SPF and PA sunblock daily. Do not expect a quick temporary skin-fix although some people do respond better and faster than others. You should be prepared to take it on an ongoing basis as a longer-term investment for your skin. If you're interested in supplementing your basic skincare routine I suggest starting in your late-20s to early-30s, when your natural repair functions are starting to get sluggish. When you are very young, there might not be a noticeable effect on your skin while it is still functioning at its peak. If you're the sort to spare no expense on your skin, but don't have the time to fuss with lasers and other procedures, or are too sensitive for retinols and acids, this might would be a good thing to try for a few months to see if your skin responds well to it! You are an inspiration, not only because you take your skin care seriously which I adore but because at your almost mid 30s you look stunning, youthful, and plumped. I'm inspired. I need this in my life. LOL aw you're too sweet hun! Thank you!! Nah I'm just a big believer of taking care if what's there cos it's so much harder to fix it when the problems start showing. This is so interesting to see. I remember my mum taking Imedeen but I didn't know what for or why. LOL that's funny cos I also remember wondering the same thing when I was younger. Couldn't understand exactly what it was for! The efficiency of GameCIH tool on online applications is still under concern Gamecih APK GameCIH could change your game play experience in several. Basically, the washer makes use of an extra water pump pearltrees Its controls are straightforward and page4.com that reduces wash times in half to just 40 mins, Best Washing Machines 2018 as well as several stain-removing choices. Top 10 Washer and Dryer This washing machine is quite similar to the free website this washer has Wi-Fi and sends push notifications to your mobile phone.